In Europe you find them all over the place; great little neighborhood wine bars filled with the sounds of friends laughing, glasses clinking, and maybe even a little live music playing. Bend has one of those places, too. 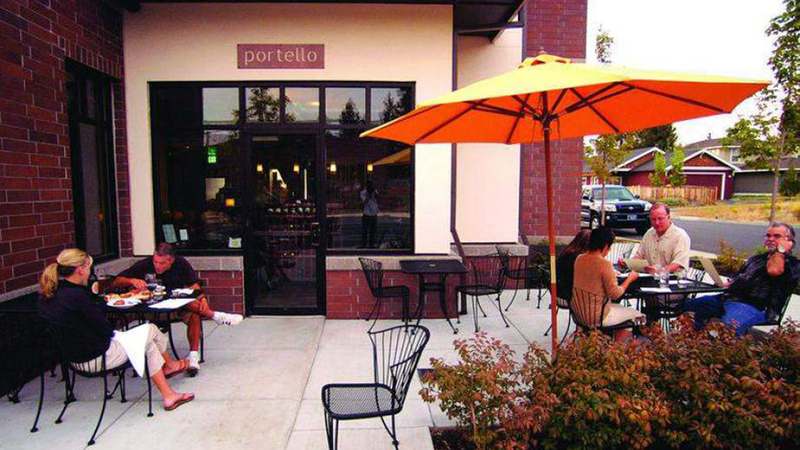 Portello Winecafe in Northwest Crossing on Bend’s Westside. Portello prides itself as being chosen as “Best Place for a Glass of Wine” in Bend by 2012 Central Oregon magazine readers. It was also chosen for “Best Ladies Night Out” in Central Oregon Magazine’s Readers Choice Awards 2014. It’s also known for serving up an extensive selection of international wines and around a dozen beers, most locally brewed. And because you can’t live on wine alone, Portello serves up choice of paninis, nine different mix and match bruschetta combinations, cheeses and charcuterie, salads, and a pretty great chocolate and fruit board. Portello is open Sunday – Tuesday from 4:00 p.m. – 9:00 p.m., Wednesday and Thursday from 11:30 a.m. – 9:00 p.m., and Friday and Saturday from 11:30 a.m. – 10:00 p.m. Happy hour happens every Tuesday – Friday from 4:00 p.m. – 6:00 p.m. Every Saturday and Sunday night their in-house wine experts add to the seasonal wine list and select a rotating three wine sampler flight just for the weekend. Take your wine glass out on Portello’s patio and position your chair just so, and you might get a glimpse of the sun setting over the stunning mountain range in the distance.